Mount Chocura Panorama is a photograph by Brian MacLean which was uploaded on July 25th, 2016. 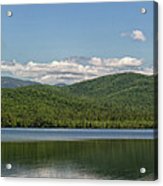 Mount Chocorua is a summit in the White Mountains of New Hampshire. At an elevation of 3,490 feet it is the easternmost peak of the Sandwich Range. Amazing views of the mountains can be had at Chorcura Lake nearby. Mount Chocorua is located in the town of Albany and is the easternmost peak of the Sandwich Range in New Hampshire's White Mountain National Forest. 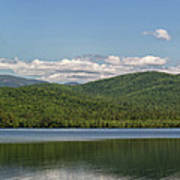 The Sandwich Range is located north of the Lakes Region and south of the Kancamagus Highway. 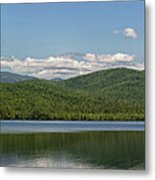 The range extends about 30 miles east-west from Conway on the Saco River to Campton on the Pemigewasset. 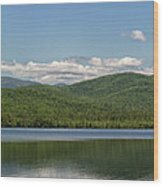 Chocorua's summit is a picturesque rocky cone, and the mountain is purported to be one of the most photographed in the world (AMC Guide, page 310). 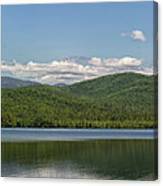 One of the most photographed sites is from Chocorua Lake, which often casts a perfect reflection of the mountain top. Mount Chocorua is a popular destination for hikers. Although it is under 3,500 feet in elevation, its bare and rocky summit commands excellent views in all directions. Since most trails begin at much lower elevations, a hike to the summit is a strenuous exercise. There are many trails up the mountain, and they can be quite crowded during the summer months. Especially popular are the Piper Trail (4.2 miles each way from the east), the Champney Falls Trail (from the north), and the Liberty Trail (from the southwest). This is a panoramic stitch of seven individuals images creating a very large file that can be printed quite large if you desire.